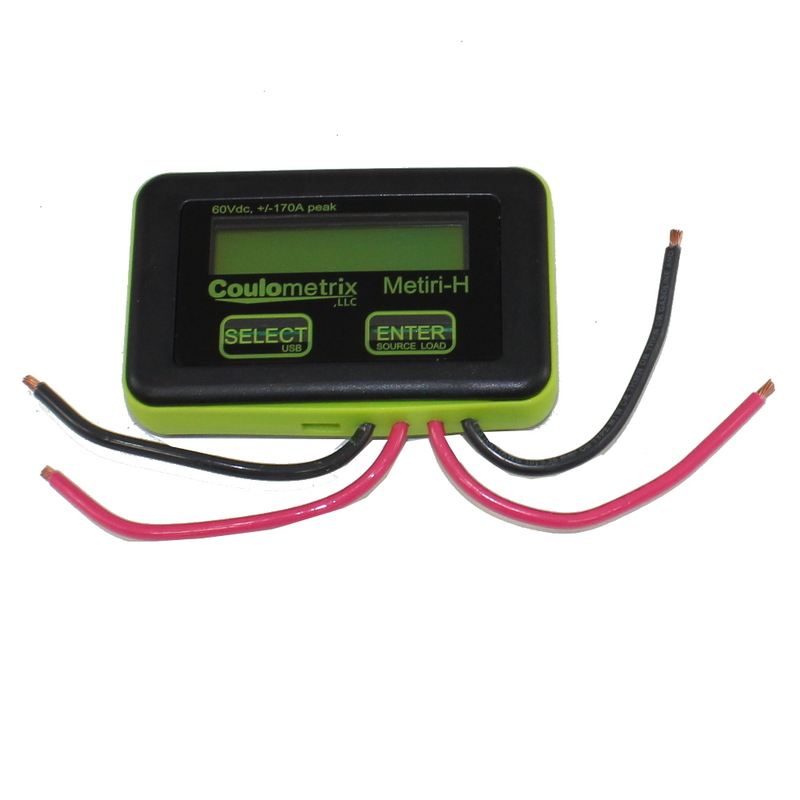 The Metiri Scientific Model is a smart energy meter that accurately measures DC voltage and current and records this energy over time in a way that you can customize for your application. 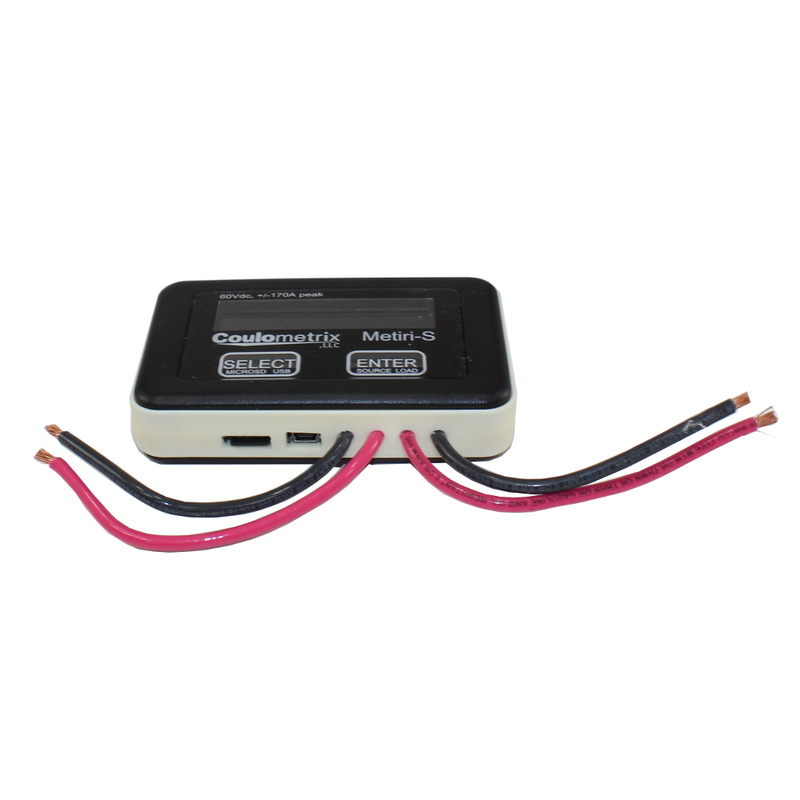 Voltage monitoring range: 0* to 60 DC volts. Fully Certified to FCC Part 15, Class B for residential or commercial use. Real time voltage, current, power, and count. 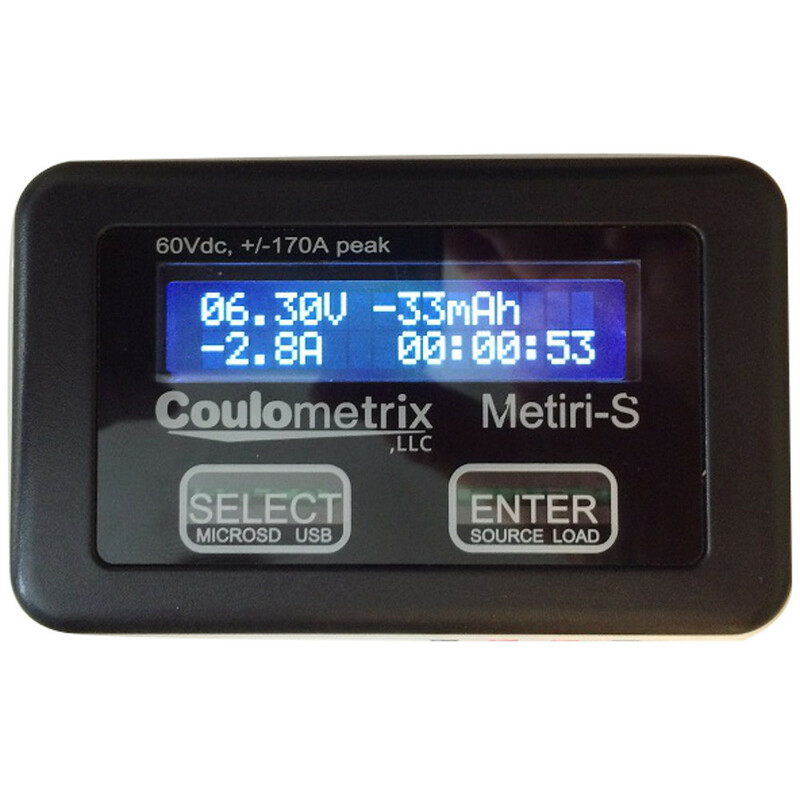 Voltage, Current, and Power minimum and maximum values. Interactive Energy graph shows energy collected per hour. 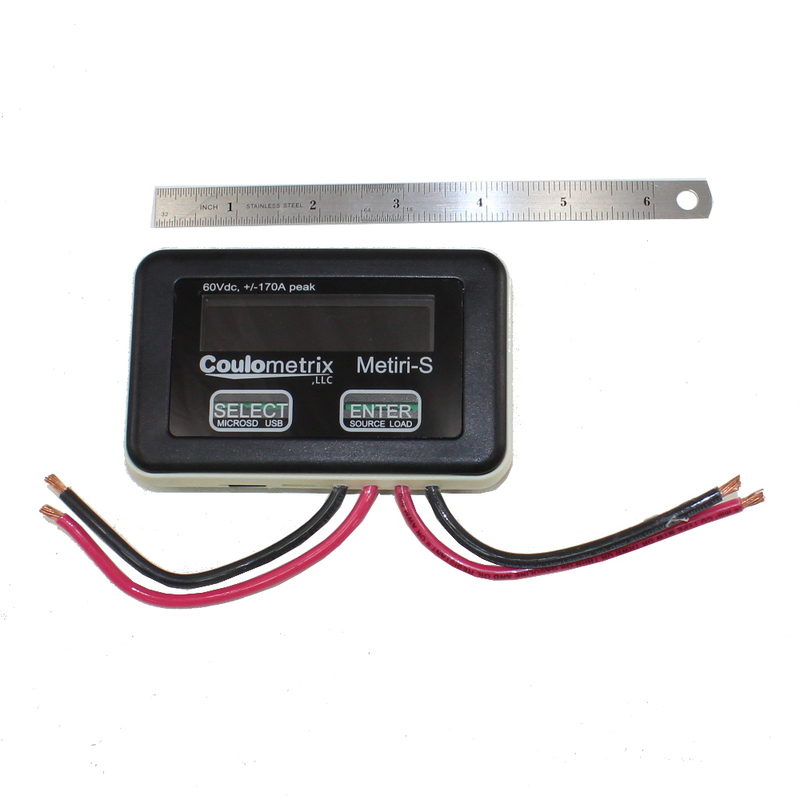 Self Calibration and data storage control. You can provide axillary power using any 5.0V USB supply. Power your project using any AC charger, battery pack, or car charger with a USB port. All menu options, features, and tools are accessible using the front interface. You can set the energy units that you want to see. Select either Joules, Watt hours, or Ampere hours! 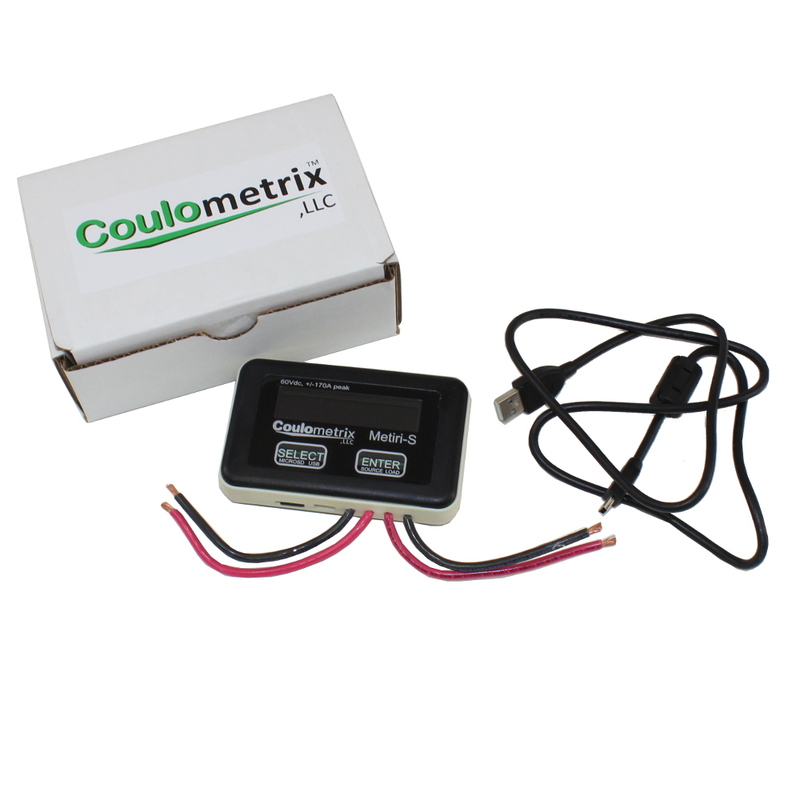 Perform calibration, reset values, monitor, and record data all with a touch of a button. * When auxiliary USB power is plugged in. 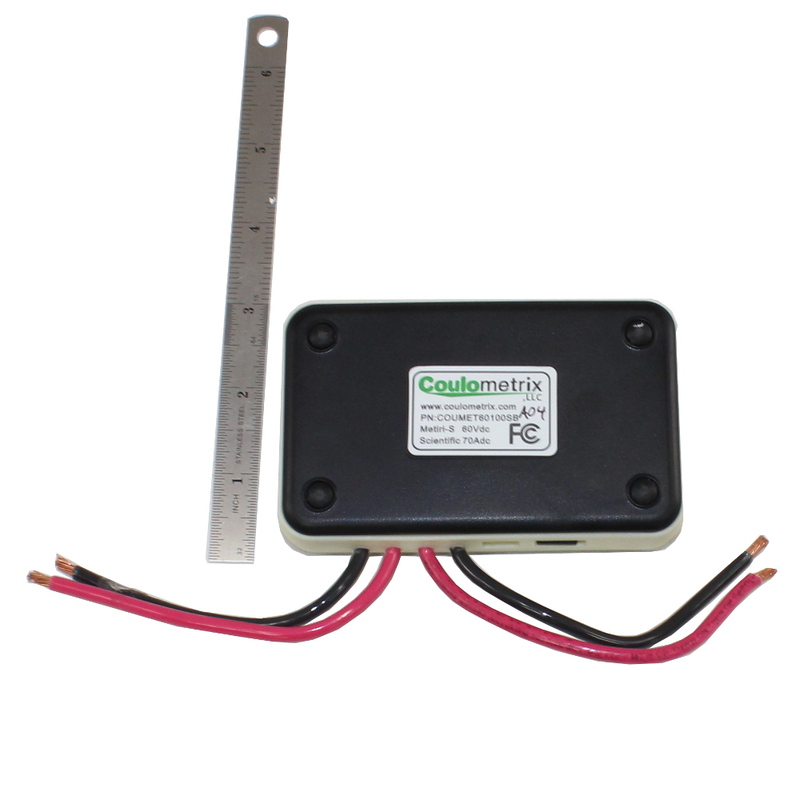 Otherwise, unit will function with an input voltage of 6 up to 60 Vdc. 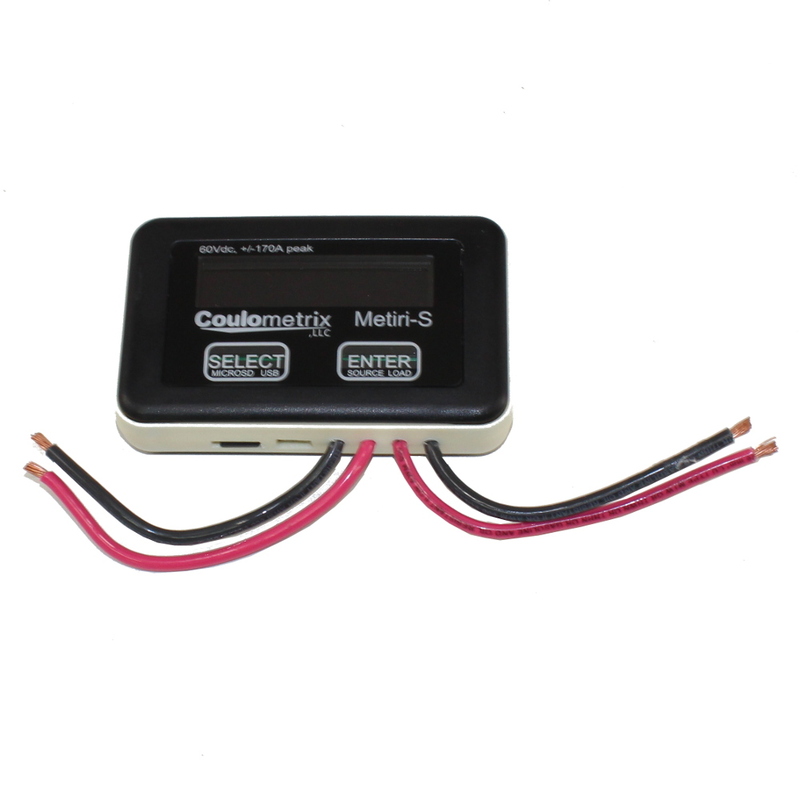 ** The Continuous Current rating is the current rating the device can sustain. Peak Current is the current rating the device can sustain for 5 seconds. The Recordable Current is the maximum current the device can record. See product SOA (Safe Operating Area) in your product manual for more details.